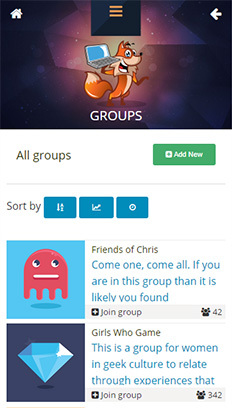 A social platform for sharing account usernames with friends and groups. Works on mobile or desktop browsers! 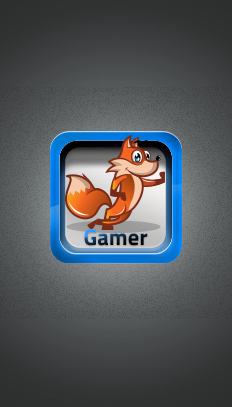 Store all of your video game usernames in one place, and use it to share them with your online friends and groups. 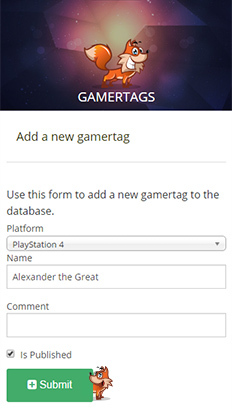 With GamertagDB, adding your gamertags to long threads of replies is replaced by this easy-to-use database. This database exists because of a lone wizard and a handful of sidekicks. 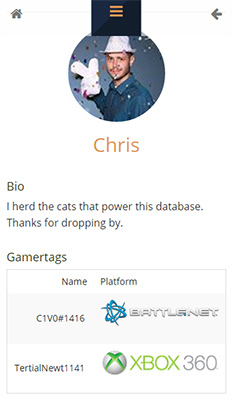 Access to the gamertag database is invite-only while in beta. Think you should have access? Get in touch!